Mueller Gages is family owned business and has been operational for nearly six decades. 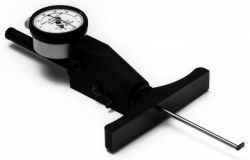 Since its inception, Mueller Gages has been providing a wide assortment of unique gages and tools to a large number of industries. What’s more, they are working with more than 250 distributors nationwide, which includes Willrich Precision! All in all, their precision dimensional inspection gages represent a tradition of creativity, quality, and stellar customer service. 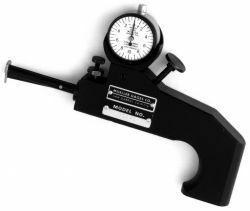 At Willrich Precision Instrument, you can find the latest products that meticulously designed and manufactured by Mueller. At Willrich Precision, we have nearly five decades of experience working with well-known brands in the metrology, inspection and gaging industry. The products you find in this range provide unmatched features and exceptional versatility. You can rest assured that there is no steep learning curve and you will master the tools right from the get-go. Coupled with our team providing an unparalleled level of customer service, you can be sure that you will always find the right solution. Browse through our up-to-date inventory and shop for top-notch Mueller products today. If you require further assistance with any product purchase, feel free to chat with us live or call us at 866-945-5742!